Wasco – A Tradition of Excellence. Max Wasserman founds the Wasco Flashing Company in Cambridge, MA to manufacture a revolutionary through-wall flashing system. Acrylic Dome Skylight first brought to market by Wasco. Wascolite Skydome® introduced as an aesthetically pleasing, practical solution for bringing natural daylight into one-story schools and other institutional, commercial and residential buildings. The Pyrodome® and Pyrovent® introduced, providing roof access, ventilation and fire venting. The 1950s also witnessed the development of new manufacturing technologies, a national sales network and recognition by the architectural community. Wasco moves its growing operations to Sanford, Maine. Wasco develops an acrylic crib cover to fulfill the need of a regional hospital. The company is purchased by American Cyanamid. C.G. “Gus” Magnuson purchases the flashing and skylighting operations, renaming the company Wasco Products, Inc. Manufacturing. It was based in the renovated Goodall-Sanford Mills complex, but has since moved to a new 100,000 sq.ft. 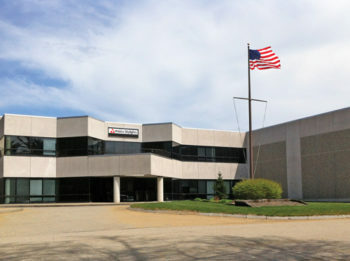 facility in Wells, Maine, with a second manufacturing location added in Reno, Nevada. In response to the energy crisis, Wasco develops the Solar Energy Skydome® and the Thermalized SkyWindow®, designed to reduce energy consumption by creating a thermally efficient barrier between the interior and exterior surfaces of the frame. Wasco introduces the first in its line of aluminum-framed, glass-glazed skylights. Wasco offers the residential market the first low-profile, vinyl-framed skylight — an instant success due to its vinyl Permatherm® frame, patented Weather-Seal system, built-in curb for ease of installation and choice of glazing options. The flashing business is purchased by Geoffrey Magnuson, who continues to operate the business in Sanford as York Manufacturing Company. As the Building Boom takes off, the Wasco SkyWindow line expands to include venting units. Gus Magnuson retires, selling Wasco to two senior executives and a son, Christian G. Magnuson. Wasco develops a glass-glazed, tubular frame system for use in large-scale skylighting applications such as shopping malls and office buildings. 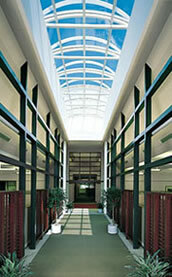 The rights to manufacture and market the system are purchased five years later by Architectural Skylight Company. The revolutionary E-Class SkyWindow is introduced, featuring a patented, one-piece curb-frame/flashing design for easy, weather-tight installation. Made with state-of-the-art vinyl co-extrusion technology, the innovative product is hailed as one of the industry’s premier residential skylight products. The vinyl-framed Wasco Rolling Patio Door is launched for the growing residential daylighting marketplace., setting the standard for value, reversibility and easy operation. The Classic™ Skylight, a versatile custom flat-glass system designed for light commercial and residential applications, is introduced. Chris Magnuson becomes sole owner, launching an aggressive campaign of continuous improvement and growth that emphasizes customer service, productivity and market penetration. Wasco launches architectural colors for all its skylights. Wasco Architectural Series receives the coveted American Building Products Award from the editors of Home Magazine as the brand gains greater acceptance and market share for residential homes. This year also sees the introduction of the Pinnacle Skylight System™ for spectacular custom commercial applications…Hurricane-Resistant glass for E-Class, G-Series and Architectural Series residential SkyWindows…the EVM Motorized E-Class Skylight and new Swing Patio Doors…all continuing Wasco’s 70 proud years of product innovation. Wasco introduces skylights with Lumira Aerogel which are the highest performing daylighting product available on the market. 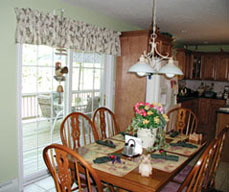 They are an excellent value and can substantially reduce energy costs and provide a great return on investment. Wasco’s Horizon® cellular, polycarbonate skylight system is introduced to the market to reduce labor and material costs while enhancing performance.Horizon a dry glazed, daylighting system with proven energy saving solar and thermal properties. The translucent Horizon System is constructed of lightweight, impact resistant, UV protected polycarbonate panels that are easy to install. Wasco introduces Advanced Glazing Technology for maximum control, comfort and efficiency. Wasco’s advanced glazing series allows you to harness all the positive benefits of natural daylight without suffering the undesirable effects such as excessive heat gain, glare and fading. Wasco has a complete line of technologically advanced glazing solutions to provide maximum design versatility and optimum daylighting for multiple applications. After 55 years in Sanford, Wasco relocates from the Sanford Mills complex to a 150,000 sq.ft. facility in Wells, Maine. 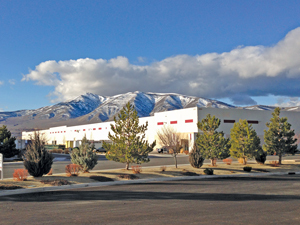 Wasco opens a new manufacturing facility in Reno, Nevada. The additional location is producing both standard and custom skylights for the commercial and residential market, and expanding its distribution west of the Rocky Mountains. Wasco Products Inc. is acquired by VELUX America LLC, the U.S. sales company of the VELUX Group. With the addition of existing Wasco manufacturing facilities in Wells, Maine, and Reno, Nevada, VELUX bolsters its manufacturing capabilities and further strengthens its position in the commercial and residential daylighting category. “Together, our manufacturing teams will build on a shared legacy of excellence,” said John W. Pillman, president at VELUX Greenwood LLC.